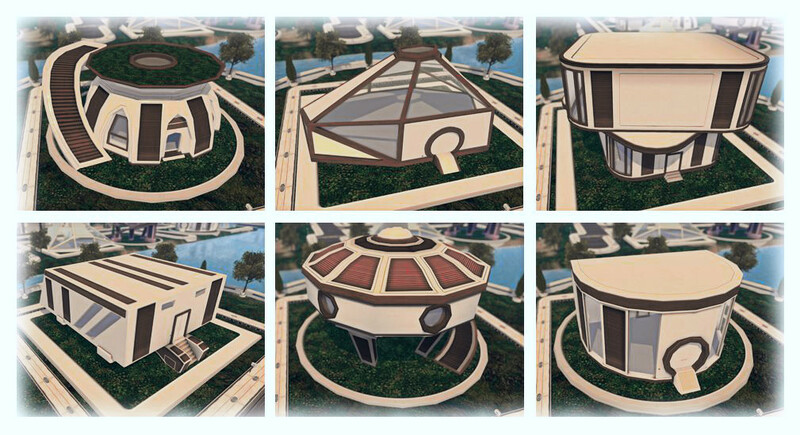 On Tuesday, November 15th, the Lab launched the Premium members’ Horizon community, a “retro-futuristic” environment featuring 36 residential regions each with 24 parcels available for auction to Premium members. The auctions opened on Friday, November 18th, with parcels being auction in batches. One week on, and a total of 87 parcels have been or are up for auction, of which, 67 have closed as of Friday, November 25th, marking the first week of auctions. Whirly Fizzle and I have been tracking things during the week, so we’d thought we’d offer an update on how things are going. Four have been obtained by land sellers, with 2 initially put on sale, then withdrawn. Five have been obtained by land renters but are not currently for rent. Three could go either way. Of the commercial parcels, four appear to be rentals; one is parcel holder / store operator. “Residential” refers to those parcels purchased by individuals without any obvious land marketing in their profiles & who have not won auctions for other parcels. These could still be sold / rented out or used commercially. Taking the lowest bid price for all auctions closed to date, and applying it to all remaining parcel yields a potential total revenue of L$24,582,224 / approx US $94,500. Taking a median bid price of L$36,330 based on closed auctions to date, and applying it to all remaining parcels yields a potential total revenue of L$28,955,010 / approx US $111,365. The figures above are only a snapshot – re-sale prices are fluctuating; prices set for parcels auctioned in lots 5 and 6 are likely to be reduced. Initially, 28 parcels were put up for sale. Two were withdrawn on Friday 25th. Six parcels were initially priced at between 25 and 3 times their auction price; all have had their re-sale price reduced by an average of 50%. Four parcels have seen a reduction in price since first being placed for sale of between 2.5% and 21.52% per parcel. Eight parcels are currently for sale at a median of 2.5 times their auction price (ave L$70,000 per parcel). current tends suggest these will be reduced.